I have been so swamped with work and preparations for the coming of our baby, that I haven't even found time to do a decent first post for 2011. 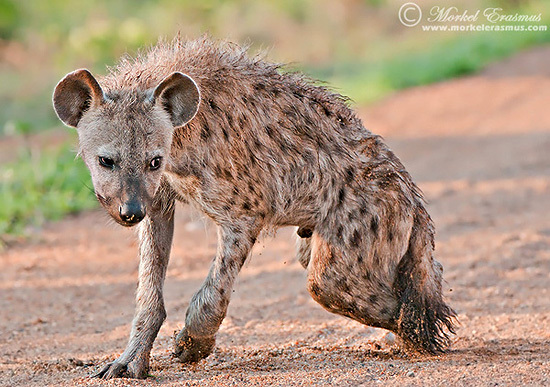 Here is a quicky: a young Spotted Hyena which we encountered in the Kruger Park in 2009. He was looking VERY groggy, as if he'd had a very late night with a few drinks too many.